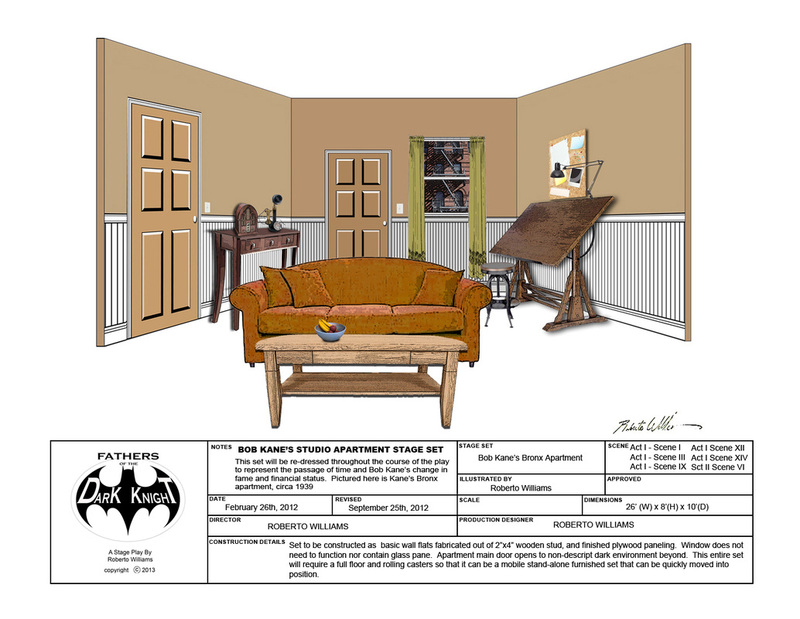 Bob Kane's Bronx Apartment stage set is featured prominently in "Fathers Of The Dark Knight". The set will be re-dressed throughout the play to simulate the passing of the decades. ORIGINAL CONCEPT SKETCH by Roberto Williams: Very early rough concept layout for Bob Kane's Bronx Apartment stage set. Mr. Williams did this fast sketch in his student attendance row book, during a lunchtime conversation with drama students. This was meant to explain potential stage scene-blocking for Bob Kane's Apartment. 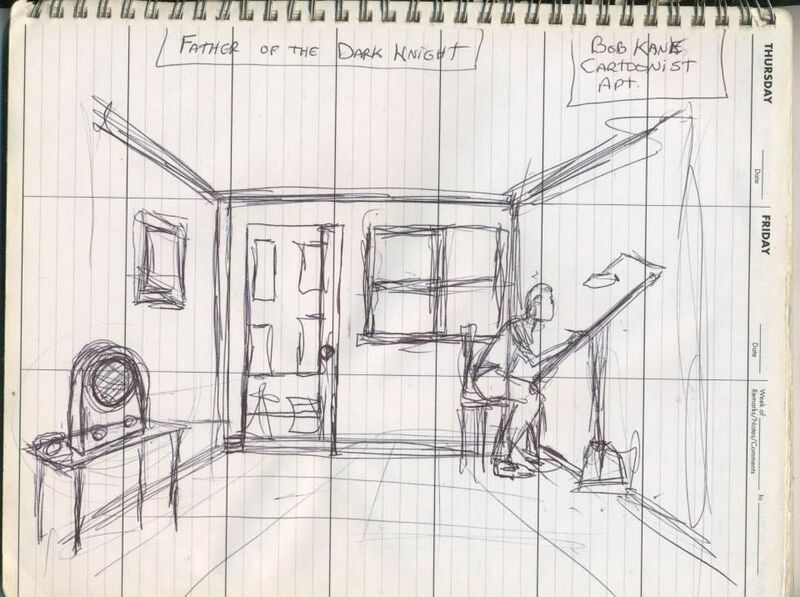 This sketch was created in December of 2011, in the weeks immediately following Mr. Williams' decision to write, produce, and direct "Fathers Of The Dark Knight".